It is like asking to go to Venice in Italy and instead been flown to the Venetian in Las Vegas. It is not the same. 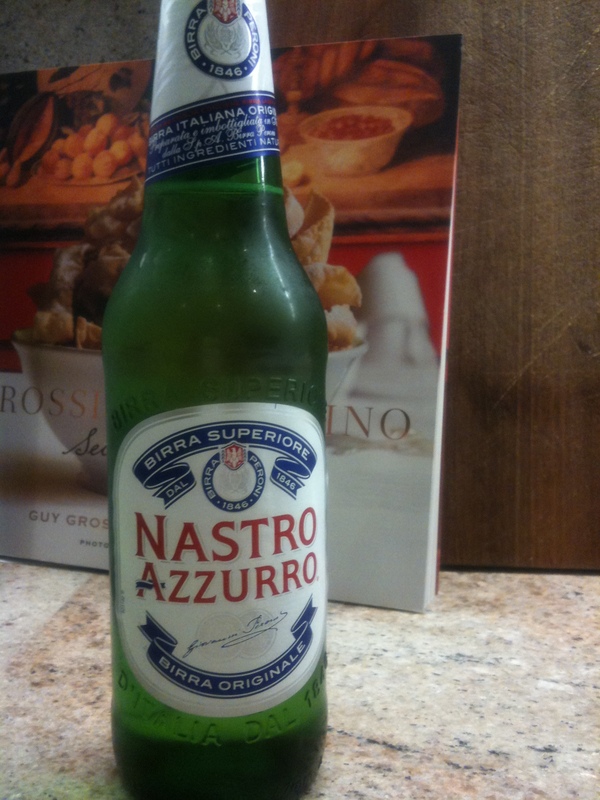 It is hard to believe that it was a year ago this month when we launched #brewedunderlicencefreemarch to highlight that in Australia, we were being duped into buying Peroni Nastro Azzurro thinking it was Italian, but it was actually made in Australia. Well fast forward a year and we have made a massive difference. Numerous articles have been published to inform the Australian public, especially Max Allen who wrote a brilliant piece in the Weekend Australian Magazine highlighting this issue nationally. Sommeliers and wine merchants have been as fantastic in making sure that they only carried beer from around the world that was brewed in their country of origin. Today if you go to Grossi Florentino, Il Bacaro, Sarti, Caffe Cucina, Becco, Merchant, Circa or any of Melbourne’s best restaurants, you will find them serving #realitalianbeer made from the country it originated from. So #brewedunderlicencefreemarch is all about drinking your imported beer of choice, from the country which it has originated from. So Kirin from Japan, Stella from Belgium, Becks from Germany and most importantly Peroni from Italy. Remember this is how the #realperoni movement started…. Being of Italian heritage, I love all things Italian. I ride a Vespa which I restored from Italy. 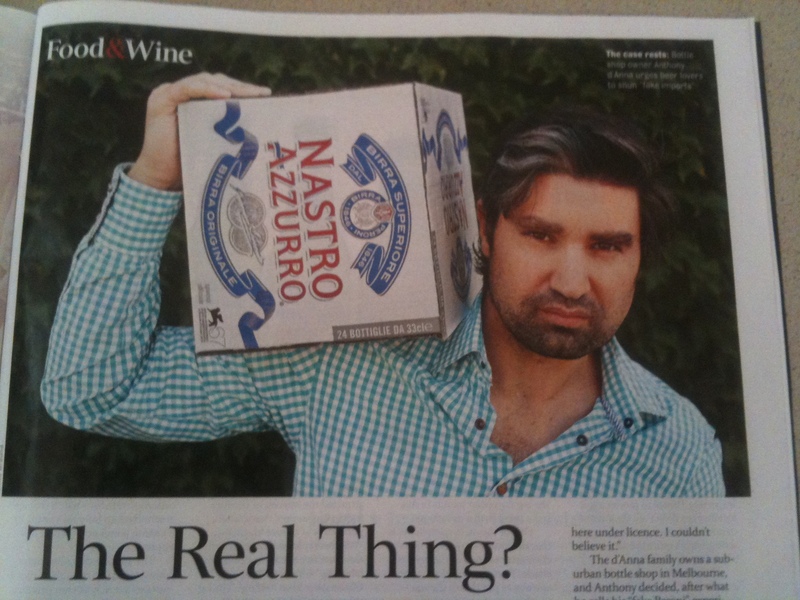 I drink wine made in Italy, and importantly I like to drink beer brewed in Italy. I also love drinking Australian wines, German Riesling and so on. So much to my dismay, a few weeks ago, I ordered my favourite beer in the world, a Peroni from an Italian restaurant wanting to start the evening off on a good note. However when I tried the Peroni it tasted different. More like drinking a Crown Lager than the Peroni I have come to love. Bizarre! How can a Peroni made and brewed in Italy taste like Crown Lager? Well after examining the bottle, it was revealed that this had been brewed under licence by Coca Cola! What shocked me is that I had no idea that my favourite beer in the world, is now made in Australia!! I felt cheated, like I had caught my wife in bed with another man!! I posted this on twitter and much to my surprise over the space of a few days, fellow Peroni lovers had also been caught unaware by buying what they thought was the genuine Peroni brewed in Italy but had been given an Australian equivalent that tasted to us, Peroni lovers, as something totally different from the original. We started the hash tag #realperoni on twitter for fellow Peroni lovers and the response has been phenomenal. In the space of a few short weeks, people had been going to restaurants and wine stores and asking first where the Peroni was brewed before buying it. If they were told it was imported and the ‘brewedunderlicence’ Peroni was served, they were sending it back. The aim of the movement is not only to encourage people to buy and drink imported beer from the country it originated from but also educate people who might be thinking they are drinking Peroni from Italy, Becks from Germany but have been given these beers brewed in Australia. Why is this big deal? Well they taste different. They are not the same product, it is different. It is like asking to go to Venice in Italy and instead been flown to the Venetian in Las Vegas. It is not the same. If I want to buy Peroni, I want Peroni. Not a beer brewed in Australia, using Australian water and ingredients. It is easy to check if your imported beer is made in Australia. Beers under licence in Australia have an Australian barcode which signifies that it is Australian made. So the Australian Peroni has a barcode that starts with 93. The genuine Peroni has a barcode starting with 80 which signifies it has been brewed in Italy. The back label should also mention if the beer has been brewed under licence in Australia or made in the correct country of origin.